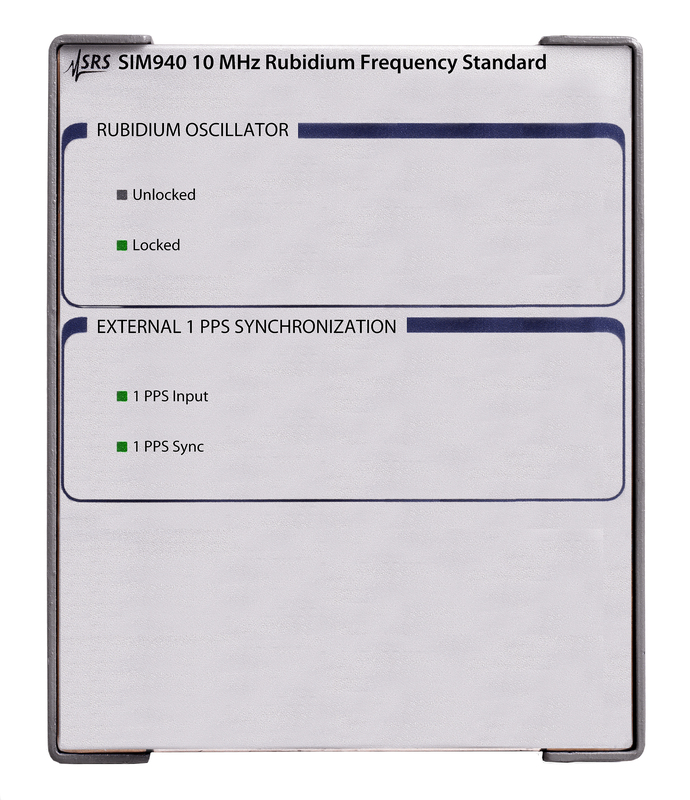 The SIM940 integrates a rubidium oscillator (SRS model PRS10) into the SIM900 platform. It provides stable and reliable performance with an estimated 20 year aging of less than 5 × 10-9 and a demonstrated rubidium oscillator MTBF of over 200,000 hours. The SIM940 is an ideal instrument for calibration and R&D laboratories or any application requiring a precision frequency standard. There are three 10 MHz outputs with exceptionally low phase noise (-130 dBc/Hz at 10 Hz offset) and one second Allan variance (<2 × 10-11). 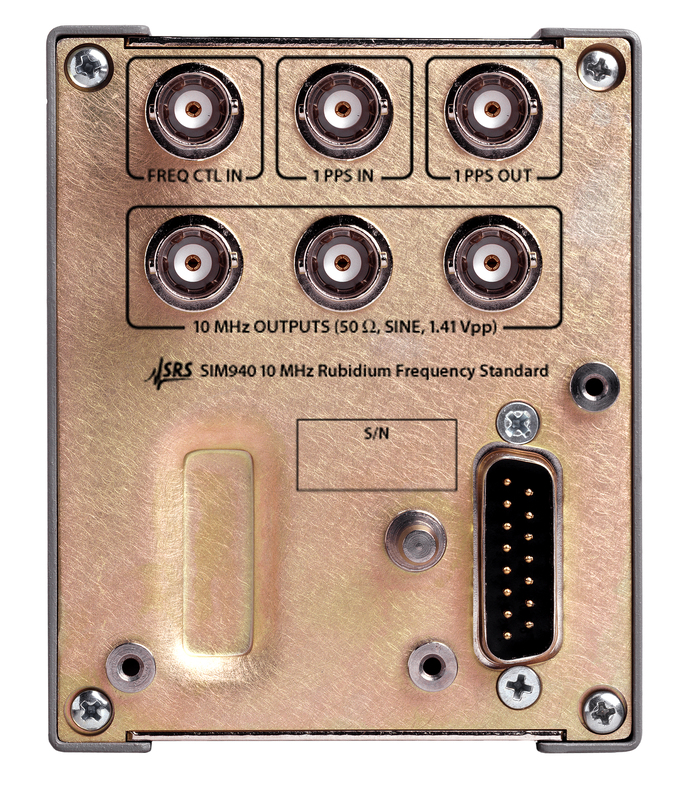 The SIM940 can be phase-locked to an external 1 pps reference (like GPS), providing Stratum 1 performance. A 1 pps output is also provided that has less than 1 ns of jitter and may be set with 1 ns resolution. All functions of the SIM940 can be controlled from a computer via the SIM900 Mainframe. Both RS-232 and GPIB interfaces are supported by the mainframe. Dimensions, weight 3.0" × 3.6" × 7.0" (WHL), 5 lbs.